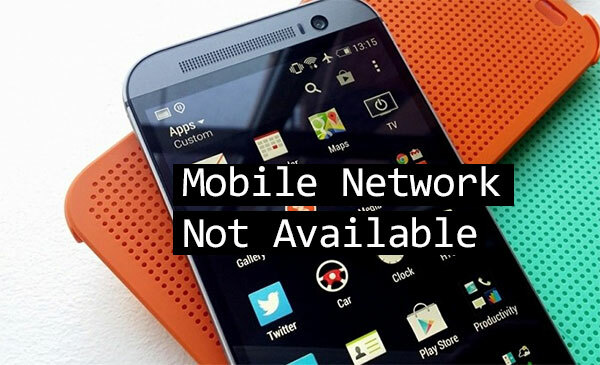 Mobile Network Not Available is probably the most faced error on android devices. This error usually occurs when your mobile phone can’t register your sim card on its preferred network which is often caused due to network issues. If you’re facing this error then don’t worry just follow the below methods to fix mobile network not available error on your android device. 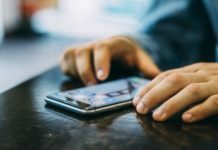 Why Mobile Network Not Available Error Occurs ? This error usually occurs when the sim card is not properly inserted on your phone or the sim card is not detected by your phone. It also occurs when you’re phone is not updated to its latest version. Basically It could be both hardware or software issue. Below are some methods which you can use to fix mobile network not available error on your android phone. This is the most basic troubleshooting method used when we face some network related errors. Simply switch off your android device, Remove the battery and Sim card and wait for few minutes. After few minutes plug in the battery and sim card and switch on your phone. This should probably fix this error, But if the error still exist then try other methods mentioned below. In this method we will re-register our sim card on our preferred network. 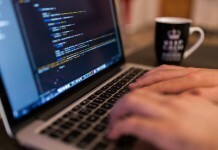 This method works great and is the best solution of mobile network related errors. 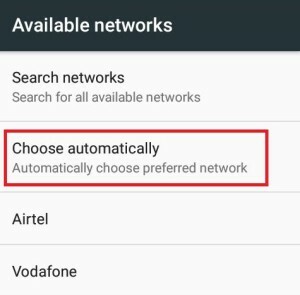 Tap on Wireless and Network and select Mobile networks, If you can’t find Wireless and Network then click on more and further select mobile networks. 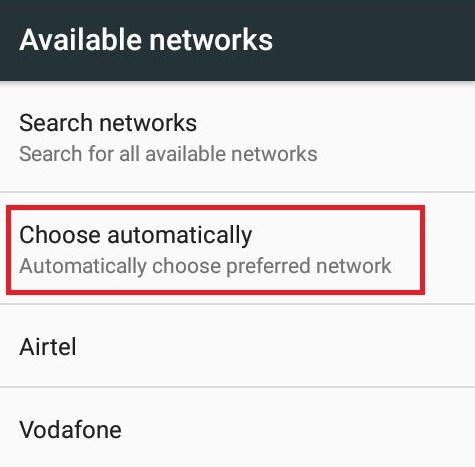 Now select Network operators and tap on Choose automatically. That’s it, Now you will get a message which says “Registered on network” and your phone will be automatically registered on preferred mobile network. This should definitely fix Mobile Network Not Available Error. If the error still exist then checkout the following things. 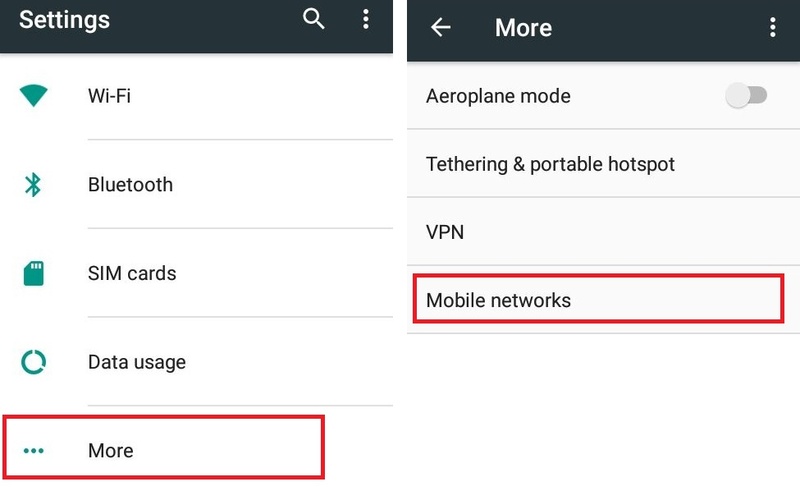 Make sure your phone is not on flight mode, If it is then turn off flight mode that’s the reason you were getting Mobile Network Not Available error. The error may exist because your system needs a software update. Check your smartphone for latest updates, You can do this by going to settings -> about phone and then selecting system updates. If there any update is available then do update your system to its latest version. This might sound little foolish but you can also try replacing your battery, If this thing works for you then it means your battery is damaged due to overheating. If nothing else works then try to factory reset your phone, If it would be a software issue then it will be fixed by resetting your phone. To reset your android phone go to settings -> Backup and Reset -> Factory data reset.